Peter Harburg’s RP100 Black Jack finished at 7:26:20 on Monday July 28 in 6-9 knots of cool north-westerly wind, giving them an elapsed time of 1 day 17 hours 36 minutes 20 seconds and reversing last year’s finish order. When the breeze went light pre-dawn Black Jack made their move. “Every boat is a one trick pony - we are stronger in light airs and we struggle upwind in strong conditions, but we have to be ready to pounce if the light air comes,” said owner Peter Harburg. 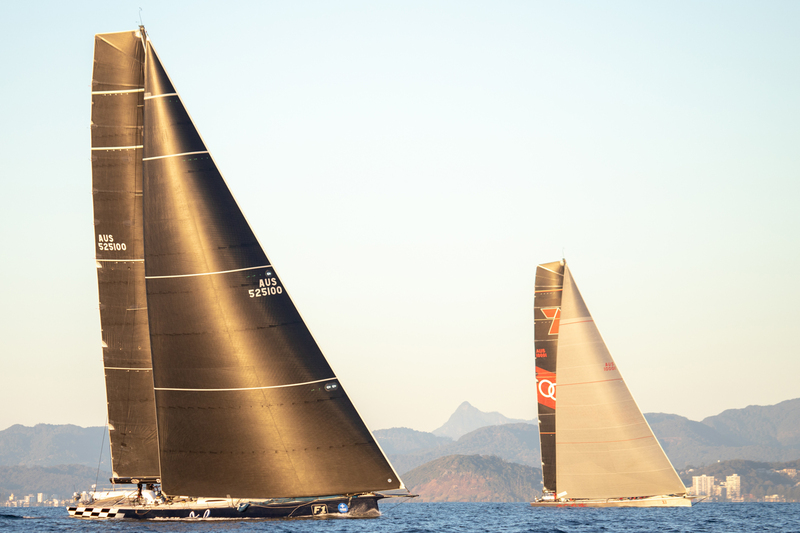 Their victory is the first time the Queensland boat has beaten the Oatley family’s Wild Oats XI in an offshore race having faced-off many times over Black Jack’s 13-year program, both in Harburg’s RP66 and now in the 100-footer. Wild Oats XI is a six-time Sydney Gold Coast race line honours winner. “Yesterday when we were going upwind in 20 knots of breeze the guys worked very hard and it paid off today. We didn’t win in the last half-hour, we won yesterday. When you are behind it’s hard to be sitting on the rail in the freezing wind. Everyone had their legs over the side at all times, even when we were 20 miles behind Comanche. That’s when you win races," Harburg added. “It was a great race between the three ‘classic’ maxis and everyone had their moment. 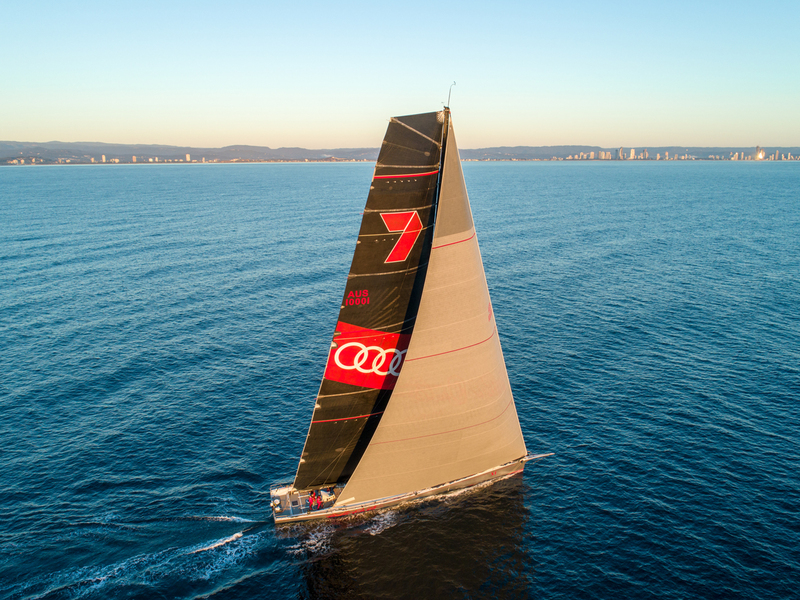 You can’t break the cord in the Southport race, it’s one of those races you can’t get far enough away from the opposition to be safe," said Wild Oats XI’s helmsman Chris Links of the battle behind Comanche between them, InfoTrack and Black Jack. 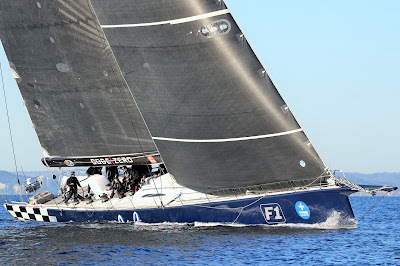 Jim Cooney’s Comanche finished third having led from the 1.50pm Sydney Harbour start on Saturday until the last 15 nautical miles when the wind dropped out and the front four squeezed up. Cooney paid tribute to Black Jack’s owner and skipper for a race well-sailed, and such a tight finish. “We are very happy with Comanche’s performance, particularly in light air,” Cooney added. Now the battle for handicap begins. Bruce Taylor’s Victorian Caprice 40 Chutzpah is the boat to beat on IRC with two-time previous overall winner Komatsu Azzurro (Shane Kearns) currently second and making excellent time on approach to Coffs Harbour. On progressive ORCi scores the pair are the other way around and in PHS results Michael McDonald’s Stampede is the lead boat. The next bunch due to finish are the TP52s, led by Matt Allen’s Ichi Ban, and among them Voodoo and Triton. A fourth yacht retired overnight, the Sydney 38 called The Goat, with an ill crewmember.